Call to get professional, high-end results. 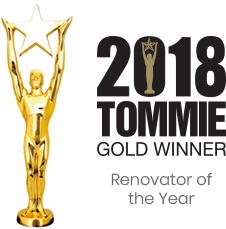 We are award winning, licensed and insured renovators, and builders. Customer first, quality always! Is there a project that you are just too busy to start? Too frustrated to finish? Imagine taking your vision to completion. We can renovate your home and turn any room into the perfect accent to compliment your living space.